Today I have a Christmas version of the little gift bags that I shared with you on Wednesday. 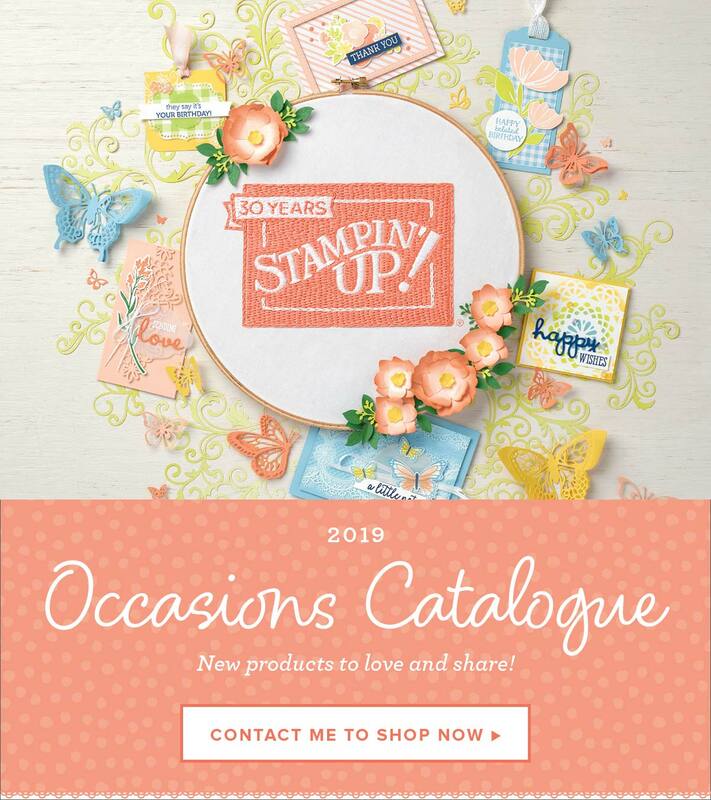 It’s so easy to overlook the amazing products we already own when a new catalogue comes out – I am especially guilty of that – that I thought I’d use products from the Annual Catalogue for today’s project. I created these bags the same as the Halloween version, using a piece of 6″ x 12″ DSP and the Gift Bag Punch Board. Instead of cutting a handle, this time I used the hole punch on the board to create perfectly spaced holes for my ribbon. The sentiment is from Christmas Pines, a carryover set from last years’ Holiday Catalogue. It seemed perfect for my super sparkly bag and had to have some itself, so I heat embossed it, which gave it a lovely shine. We don’t have black embossing powder in the catalogue, but we do have clear which means we can emboss any colour we’d like! The rest of the tag was created using – my favourite – Stitched Shapes Framelits, a tree from the Card Front Builder Thinlits and Dazzling Diamonds Glimmer Paper. The Card Front Builder Thinlits are in the Holiday Catalogue, but this is the only element on today’s project that is and could be easily replaced with something else if preferred. To create the snow banks I die cut two ovals from glimmer paper, arranged them how I liked and placed the original circle framelit over the top. I marked each glimmer paper oval with a pencil where the framelit overlapped and then die cut them to get the curve on the bottom. I hope you liked today’s project, these were so much fun to put together and I love their non-traditional colours. 🙂 I hope you’ll come back on Monday to see this month’s FREE Kit, I have something a extra-special this month to celebrate the start of my favourite catalogue.